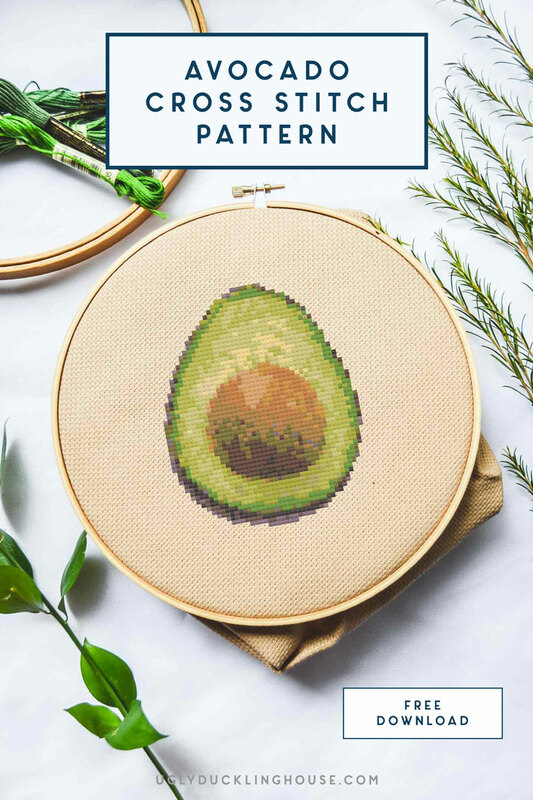 It’s time again for another pattern from my free monthly series! I know — the avocado is kind of random. But it’s also April Fool’s Day, so maybe it’s goofy enough to be appropriate? Size: approximately 5.5 in. x 5.5 in. I’m not big on lots of “word” art around my home, so I don’t usually include any puns to stitch. But, that doesn’t mean you can’t! I’ll work on creating an alphabet chart in the future so you can have an easy font to stitch whenever you like. At any rate, as usual, you can get the free download right here in my Cross Stitch Patterns Library. It’s free to my email subscribers. Just type in your name and the email address you subscribed with in the box on the library homepage, and it will pass you through to the library of this pattern and all other free patterns I’ve shared on the blog before. If you are new to subscribing or haven’t been able to get access, it’s likely because you still need to confirm your subscription (every signup has a confirmation email and it’s REQUIRED you confirm to add you to my list… if you haven’t seen it, check your spam folder!). I know this is one of several lately that I haven’t stitched myself, but it’s for good reason — I was stitching something else I couldn’t share yet! I had to wait to share a surprise gift I recently stitched for Jaime Costiglio. There aren’t many bloggers I know of who do BOTH woodworking and cross stitch like I do, and she’s one of the few (that I know of) who does! I wanted to kind of test out my pattern-making skills (I’ve been thinking of doing houses, pets, etc. as custom work for fun on the side but haven’t 100% made my mind up about it yet with so little time to dedicate to it). So, I stitched her logo and sent it off. Now that it’s done, I can show you how it came together in this quick little video! She mentioned she’s planning on making a custom frame for it, so that will be fun to see when she does. While I shot this video, I was able to take a few clips of some tips for my upcoming DIY videos on how to do cross stitch (such as a quick trick for undoing unexpected knots). So, if you’ve ever wanted to learn, it’s slated for a tutorial I’ll be releasing soon. I just have to pick out a new pattern I really want to execute and show you how! 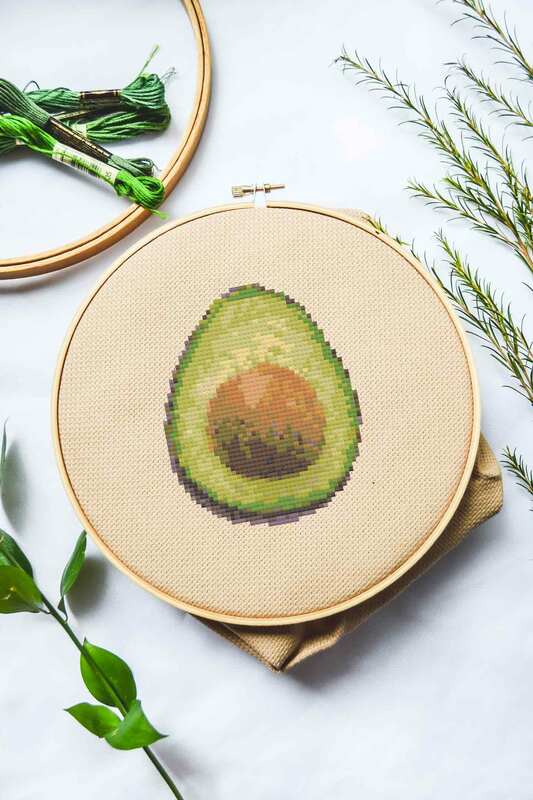 Leave a comment below if you have ideas on what you’d love to try to cross stitch for a first pattern! Should I do another leaf? Maybe do a spring or summer version of the Fall Tree pattern I created? I think you should create a pattern inspired by your gorgeous Hydrangea bushes. The blooms last year were so vibrant and colorful! Ooh, what a good idea! I’ve been making the rest of the patterns and new ones for 2020 too. I think it’s perfect, and I’ll start working on that for a future month! Thanks for the idea!